R.S. 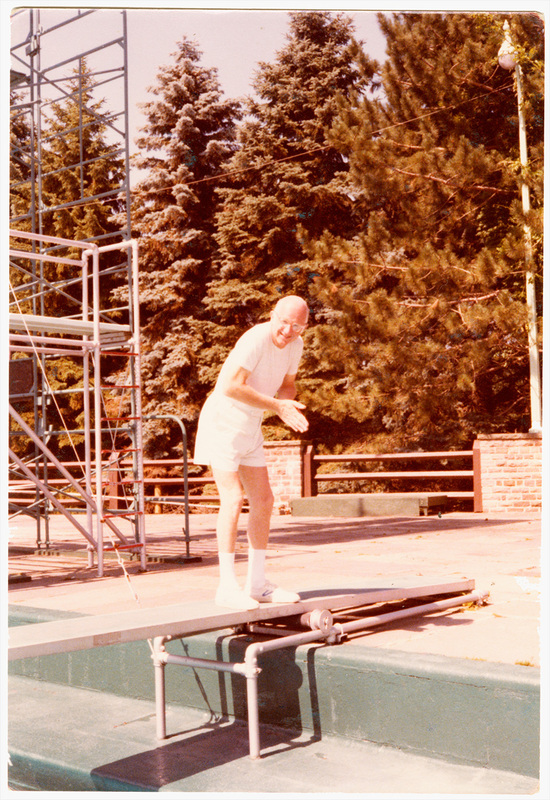 Mendelsohn standing to the side of a diving board, posing as if he is going to dive despite having socks and sneakers on. © Copyright 2019. The People’s Doctor.